Pints CLEAR Ball Elite Collection 450ml) Wide Mouth Bottles. Love my new jars!!! Thankyou very much! Great quality, lids fit great and are easy to get on and off. Great smaller-sized jar &amp; just gorgeous to look at as well as extremely practical. Very high quality product. Already in use. Lovely jars VERY well made highly recommended for jams, honey or spices and SUPER FAST delivery thanks OZ! 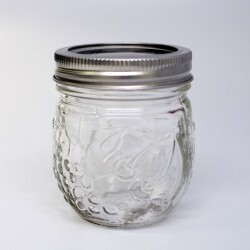 Ball Collection Elite Brushed Silver Wide Mouth Pint (16-oz/ 450ml) Jars capture your creativity. 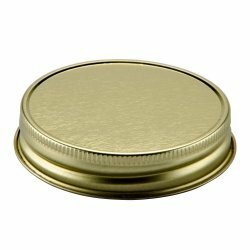 Perfect for sharing, this jar has a contemporary style that is ideal for creative preserving and storing. Elegant enough to take your fruit dressings, veggie and fruit salsa, luscious pie fillings, and colorful fruit syrups from the kitchen to the table, these uniquely shaped jars hold endless imagination. The Ball brand helps keep your creations fresh and beautiful! These bottles comes packaged in an attractive box, also making them the ideal gift. They are very popular with candlemakers too. Safely and easily handle hot jars and lids fill jars and measure headspace and remove air bubbles. The Ball 4 piece accessories set comes complete with Bottling Funnel, Packing Stick, Lid Lifter and Jar Tongs. Hand wash lids only. Do not put in dishwasher. Dry thoroughly immediately after use to avoid corrosion. Ball Mason Wide Mouth Pint Jars and Lids Case of 12 BPA Free LidsBall Wide Mouth Pint (437ml) G..
Ball Mason Wide Mouth Quart Jars and Lids Case of 12 BPA free lidBall Wide Mouth Quart (950ml) ..
HALF PINTS Ball Elite Collection (250ml) Wide Mouth Bottles with Lids x 4Ball Collection Elite Br..
Ball Mason Pint and a Half Wide Mouth Jars and Lids case of 9 650mlLonger vegetables such as asp..
HALF PINTS Ball Elite Collection (250ml) Wide Mouth Bottles with Lids x 16Ball Collection Elite ..
PINTS Ball Elite Collection (450ml) Wide Mouth Bottles with Lids x 16Ball Collection Elite Brush..
Kerr Half Pint Wide Mouth Bottle and Lid x 6Kerr Wide Mouth (8-oz / 230ml) half pint. Glass Pre..
Ball Mason Wide Mouth Quart (1 Litre) and BPA Free Lids x 6Ball Wide Mouth Quarts (950ml) Glass ..
Ball Wide Mouth Pint (437ml) Glass Preserving Jars are ideal for fresh preserving recipes such as sa..
Ball Wide Mouth Half Gallon (2 Litre) Glass Preserving Jars are ideal for fresh preserving apple and.. Preservers, crafters and candle makers alike love the unique design of the new Ball Collection Elite.. Introducing a single piece high heat lid to use with all wide mouth Ball Mason, Kerr and Bormioli Ro.. Note: picture shows the standard 15psi regulator but the Ozfarmer custom option replaces this regu.. These coloured lids are an attractive single piece lid. Use on regular mouth jars.They can be ..
Ball Regular Mouth Half Pint / 8 oz (237ml) Quilted Crystal Jars are ideal for fresh preserving reci..